Do you want to change Android Device ID without Root? If Yes, then this tutorial is specially for you. There are lots of reasons because of which you are thinking to change Android ID of your phone. Well, I am not going to mention your reasons here. But if you are looking for “How to Change Android Device ID” then I just want to satisfy you with best guide for it. First of all just know it’s Possible and Not a hard task for anyone. So, just chill and read out steps to do this on your mobile. Android device ID is another identity after IMEI number of your Android phone. You can identify your Android mobile just by checking its Android ID. It is the identity by which our Android device get traced, if you will change your Android device ID, then no one is able to trace your device. IMEI number is only numeric digits code but Android ID is the digits with alpha-numeric codes. By checking your Android ID, costumer care service can detect your Device issues and able to solve them and also anyone is able to get your exact location by it. You are also able to change your Android phone ID by some methods. Many people looks for tricks and tutorial to change Android device ID because of any reason. Are you also looking for method to change Android device ID?. If Yes!! then you are at a fix point 🙂 I already shared method to change IMEI number in any Android. Now here I am going to sharing full step by step guide to change Android ID in Rooted and Non Rooted Android device. If your device is rooted, you may like best apps for rooted Android. Now, I don’t want to waste you more time in reading my paragraphs. Let’s come to the point. Below are the two sectioned method for both rooted and non rooted mobiles. Go to your desired section directly and get your tutorial. 0.1 What Is Android Device ID? 0.2 How To Check Our Android Device ID? Android device ID is a 64-bit number that can be generate automatically when your Android device boot’s first time and it will remain same for life time. But value of your Android device can be changed on Factory Data Reset of your device. How To Check Our Android Device ID? 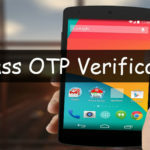 There are two methods to check your Android mobile device ID. Open your phone dialer and enter *#*#8255#*#* and dial this number, It will show your your Android device ID as “aid” in GTalk Service Monitor. Another method is more easy than first one, You can also able to know your Android device ID by installing Android Device ID app on your mobile. If will show your Android ID quickly on opening it in a single click. First you have to Root your Android device, then follow these steps. If you device is non rooted, then try out our second method of change Android ID in non rooted device. 1) First of all download Android ID Changer app in your Android. 2) Install and Open Android ID changer apk on your mobile. Note: If it will asks for Permission to install unknown application, go to your mobile settings >>security >> tick mark on Unknown Sources option. 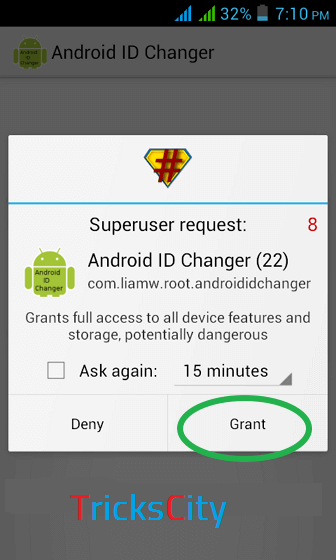 3) It will asks Root Grant permission on opening it, so allow Grant root permissions by clicking on Grant button to Android ID change app to access your device root functions. 4) After opening Android Id changer app, it will show your Device current Android Id. 5) Now click on + button from top right corner of the app. 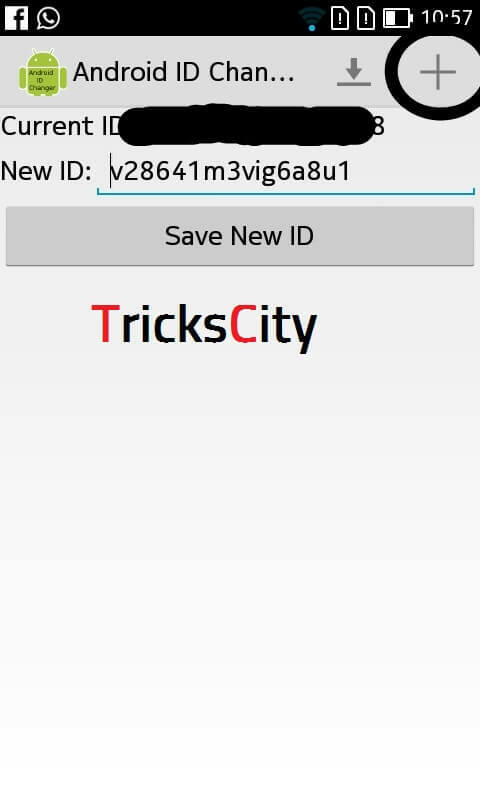 6) It will automatically set new Android ID after clicking on + button, and you can see New ID just below Current ID box. 7) Then, click on Save New ID button from below. 8) Restart your Android phone. 9) Done, Now check your Android ID will be changed successfully. 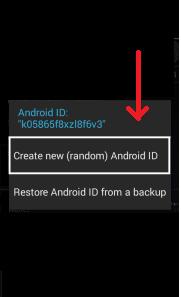 This is the method or trick to change Android device Id in rooted android device. You must need rooted device to follow this guide. But if you don’t want to Root your mobile because of Damage issue or Device Warranty issue, then don’t worry you can try out our second method of change Android device ID in non rooted phone, you don’t need any root permissions of app in that method. 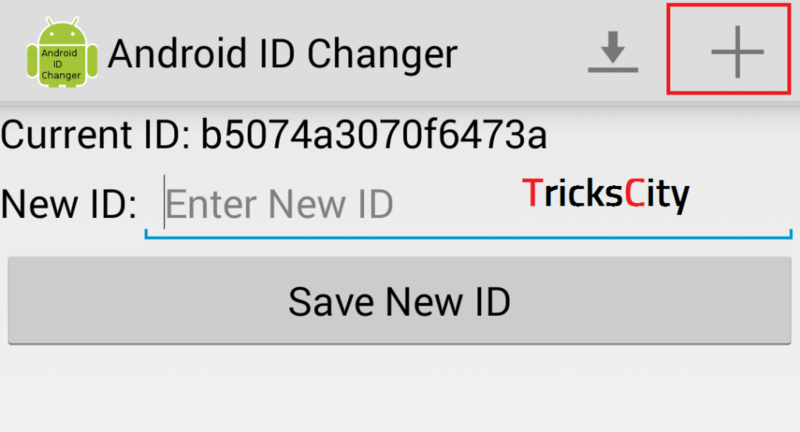 If your device is rooted but then also you aren’t able to change Android ID of your phone with Android ID Changer app, then you can also try out this method of change Android ID in rooted mobiles. 1) First of all download Titanium Backup app on your mobile. 2) Install and Open Titanium Backup app. 3) Press Menu Key, scroll down and click on Manage Android ID option. 4) Then, click on Create new (random) Android ID option. 5) Now, Restart your Android mobile. 6) Done, Your Android device ID is successfully changed. So this is another method to change Android device ID of rooted android mobile phone. 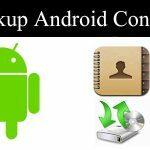 If your Android ID can’t be hanged with Android ID Changer app then try out this method, you Android device ID will surely get changed by this tutorial. If you don’t want to root your Android device because of device breaking or warranty lost issues then don’t worry. Here is the solution for your problem. Follow out this tutorial to change Android device ID in non rooted android devices by which you are able to change your non rooted android phone’s device ID easily. 1) First of all go to your mobile Settings. 2) Scroll down and search for Backup & reset option. 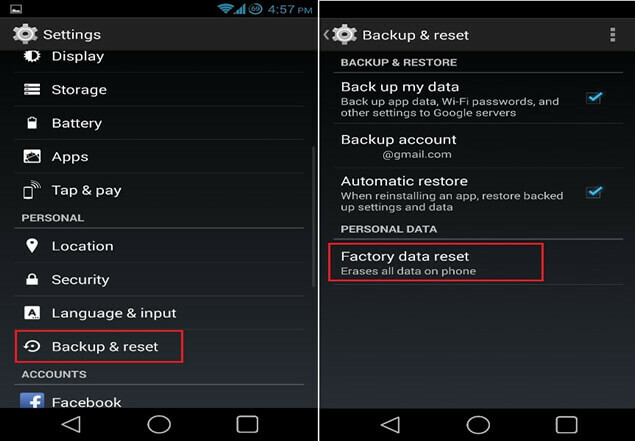 3) Open Backup & reset settings and click on Factory data reset option. 4) It will format your Android phone and reset all settings as default. Note: Must remember formatting your mobile will delete your Device memory and you will lost all the data stored in your device including Contacts, Settings, etc. 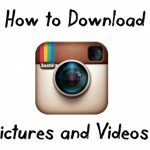 So I recommend to get Full Backup of your device before following these steps. 5) After formatting successfully, your device will restart automatically. This is the method to change your Android device ID in non rooted mobile phones. You can easily change any non rooted android device id by following this guide step by step. Also this tutorial will works on Rooted device, so if your device is rooted and you aren’t able to change your Android device ID by our first method that you can try out this one also. So these are the methods to change Android device ID in rooted and non rooted mobile. I mentioned two methods in which on is for Rooted devices and second one is specially for non rooted mobiles. It’s upon you which tutorial is best for you. If you are interested to root your device, we have already shared guide to root Android without PC or you can follow the second tutorial. We don’t think, now you need to search How to Change Android Device ID again on Google as we have provided you this well explained trick with screenshots too. If still you are facing any issue and not able to change Android ID of your mobile, feel free to comment below. Owsome, I am wondering for this article. I can change android device id with root phone. Thank you for sharing change android device without root. One question . Does titanium backup pro works for non rooted users? And does it works without formatting my phone? If u can reply plz help me. Nope bro., You must have a Rooted Android phone to use Titanium Backup Pro. Simple root your device first and NO, rooting process will not format your phone.